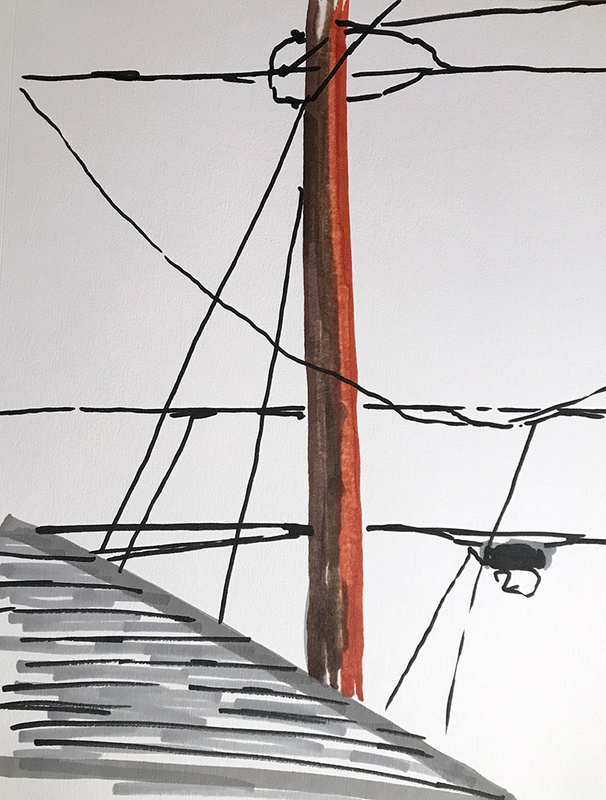 This entry was posted in Personal Stories and tagged alcohol markers, art, artistic process, creativity, drawing, sketching, telephone pole, telephone wires, visual arts, wires. Bookmark the permalink. This is fantastic. Realistic and abstract at one time. Just great.